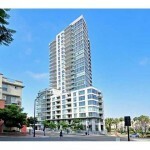 Downtown San Diego Real Estate and Condos for Sale in zip code 92101. 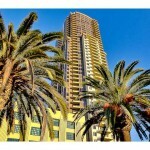 Downtown San Diego Real Estate and Condos for Sale below including regular sales, foreclosure properties, vacant condos, estate sales, corporate owned sales, and short sales. 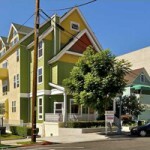 Real estate selections are available by price, sale type, neighborhood (Columbia District, Marina District, East Village, Little Italy, Gaslamp Quarter, and Cortez Hill), and specific building. 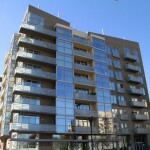 As a bonus, live real estate market information and statistics are posted below including the monthly median sales price, the current time to sell, the condos currently available for sale, and the number of condos sold in previous months. 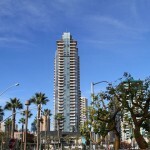 Downtown San Diego real estate’s most exclusive and desirable neighborhood is The Columbia District located on Pacific Coast Highway. 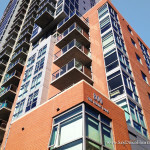 The residential make up of the neighborhood includes both towers at The Grande, Electra, Bayside, Sapphire Tower, and Treo. 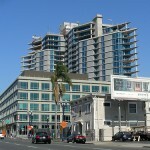 It is also the proposed sight of the next newest luxury high rise to join the Downtown San Diego real estate scene at the corner of Kettner Blvd and West Broadway. 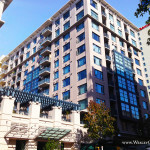 Almost every unit located in The Columbia District facing south, south west, west, north west will have bay and ocean views. 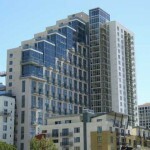 It is the crown of the residential Downtown San Diego real estate market. 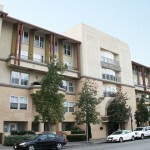 Visit my exclusive Columbia District community page to view all condos for sale and more detailed information about The Columbia District. 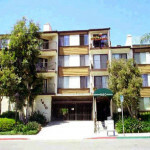 You can also click on a any building below for a detailed description on the complex and a list of all current real estate for sale at the building. 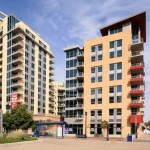 The Marina District is the most popular and highly sought after location in Downtown San Diego. 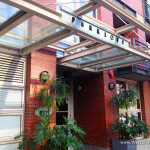 There is an array of real estate options available from the multimillion dollar penthouse to the smaller economical loft. 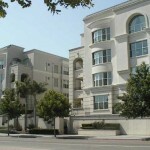 Town homes and ocean view condominiums are also abundant in the neighborhood. 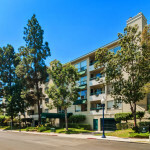 The area is comprised primarily of residential mid rises and high rises in addition to commercial storefronts and buildings including Seaport Village, the world famous San Diego Convention Center, The Children’s Museum among other attractions. 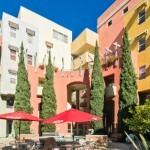 The area is very quiet although located just blocks from the hustle and bustle of the Gaslamp Quarter. 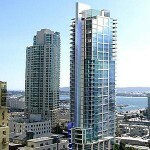 A must see when considering purchasing Downtown San Diego Real Estate. 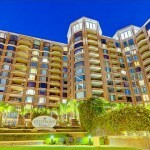 Visit my exclusive Marina District community page to view all condos for sale and more detailed information about The Marina District. 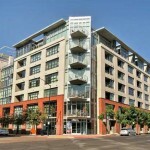 You can also click on any building below for a detailed description on the complex and a list of all current real estate for sale at the building. 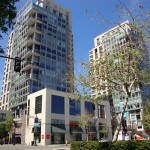 East Village is the most recently renovated and improved neighborhood in Downtown San Diego. 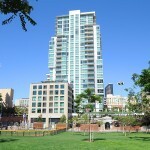 The area was previously known as the warehouse district but completely changed with the addition of the San Diego Padre’s Petco Park. With the completion of the ball park, an entire new community was born. 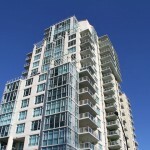 East Village is comprised of several high rise buildings but mostly mid rise condominium projects with many town homes located throughout the area. 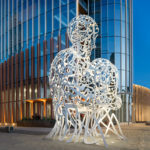 There are also many stores, restaurants, and other entertainment establishments to enjoy the morning, lunch with friends, or a night on the town. 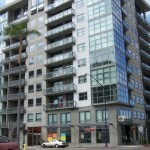 Real estate prices are relatively affordable making the area very attractive to those interested in Downtown San Diego Real Estate. 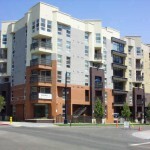 East village is a very large geographical area. 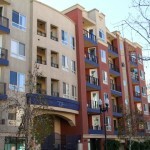 It is actually the largest neighborhood in Downtown San Diego. 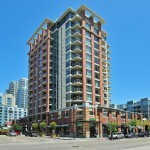 Visit my exclusive East Village community page to view all condos for sale and more detailed information about East Village. 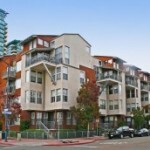 You can also click on any building below for a detailed description on the complex and a list of all current real estate for sale at the building. 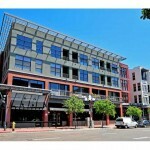 The Gaslamp Quarter is Downtown San Diego’s most famous neighborhood. 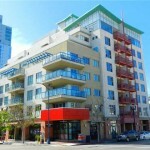 The majority of the area is comprised of retail shops, restaurants, bars, night clubs, business’s, galleries, and eateries. 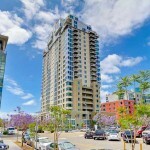 There are several residential buildings available for those looking for Downtown San Diego real estate right in the middle of all the city action. 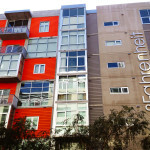 The three primary mid rise buildings are Trellis, 777 Lofts, and Gaslamp City Square. 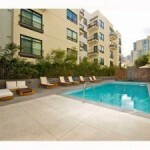 The Gaslamp Quarter is the heart of the city and very appreciate for those seeking excitement and entertainment. 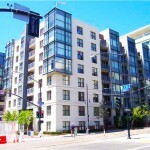 Visit my exclusive Gaslamp Quarter community page to view all condos for sale and more detailed information about Gaslamp Quarter. 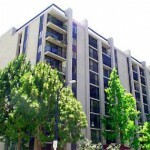 You can also click on a any building below for a detailed description on the complex and a list of all current real estate for sale at the building. 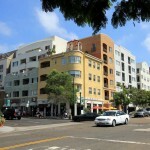 Little Italy in Downtown San Diego was established in the 1920’s. 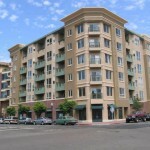 It is actually Downtown San Diego’s oldest business district, originally a major west coast fishing hub and settled way back when by the Italian immigrants whom moved to the area and called it home. 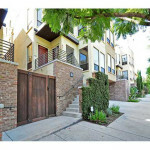 Much has changed today but the neighborhood has not last any of its old world charm. 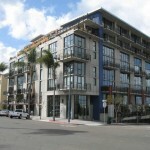 There are many Downtown San Diego real estate options located within Little Italy including many modern mid rises, contemporary town homes by famed architects, old world Victorian homes brought back to life, and several new luxury high rise buildings. 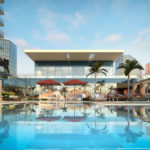 Lifestyle options are diverse and abundant including parks, restaurants, art galleries, nightlife, close proximity to the San Diego Bay, wine bars, San Diego’s most famous farmer’s market plus so much more. 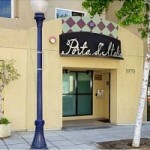 Visit my exclusive Little Italy community page to view all condos for sale and more detailed information about Little Italy. 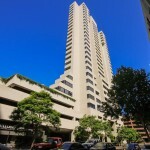 You can also click on any building below for a detailed description on the complex and a list of all current real estate for sale at the building. 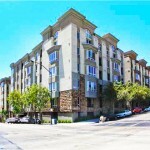 Cortez Hill in Downtown San Diego sits atop a hill overlooking the other neighborhoods that make up the city. Views from Cortez Hill often include the San Diego Bay, Balboa Park, the entire cityscape, and the Pacific Ocean. 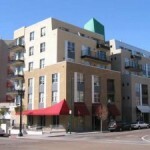 It is comprised of a collection of shops, small businesses, several high modern high rise buildings, historical Victorian homes, row homes, and mid rise contemporary condominiums. 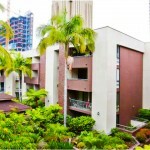 Cortez Hill is an ideal location for anyone looking at Downtown San Diego real estate seeking the city life but wanting to reside just outside the busy city streets and sidewalks. 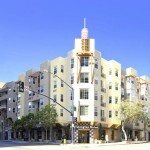 Recommended buildings on Cortez Hill are Aria, Discovery, The Mills, Cortez Blu, the famous El Cortez, plus many more. 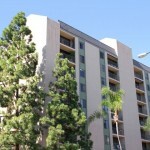 Visit my exclusive Cortez Hill community page to view all condos for sale and more detailed information about Cortez Hill. 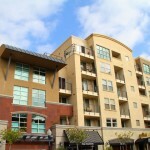 You can also click on any building below for a detailed description on the complex and a list of all current real estate for sale at the building. 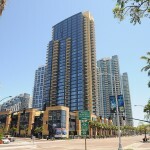 Median Sales Price for Downtown San Diego Real Estate and Condos for Sale: The median sales price for Downtown real estate is indicated below. The time frame spans the last three years. Hold your cursor over each point for specific date information and median price (touch each point if you are on a mobile tablet or phone). This data is “live” meaning it is automatically updated and reliable. 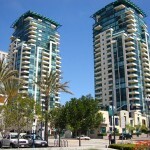 The median sales price is considered a superior indicator of Downtown San Diego market price because it eliminates outliers that an “average” price will not. 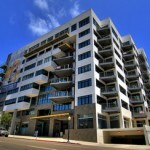 Median Active Market Time to Sell Downtown San Diego Real Estate: The median active market time is the amount of time it takes to sell Downtown San Diego Real Estate. Hold your cursor over each point for specific time frame information (touch each point if you are on a mobile tablet or phone). 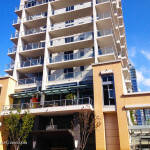 The lower the number, the faster you can expect to sell your condo ot town home (assuming it is priced and marketed right). The higher the number, the longer you can expect to be on market before a sale. 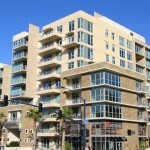 Current Inventory Level (Active Listings) for Downtown San Diego Real Estate and Condos for Sale: The current inventory level is important because real estate buyers can gauge how much selection is available and on market for sale. 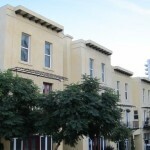 Downtown real estate sellers can use the inventory level to gauge competing sellers and neighbor homes competing for you home buyers. 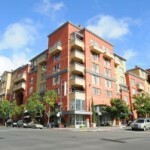 The more actively listed homes, condos, and town homes means more selection for buyers and ore competition for sellers. The lower the current inventory number, the less selection for buyers to choose from and less competition for home sellers. 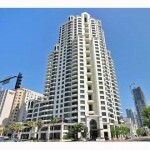 Sold Downtown San Diego Real Estate and Condos for Sale per Previous Month(s): It’s important to know the current number of listings sold. 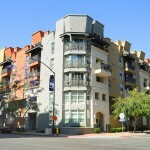 This is a great indicator for the state of the Downtown real estate market as well as an indicator of market type including buyers markets, sellers markets, and normal balanced markets which ultimately drive real estate prices. 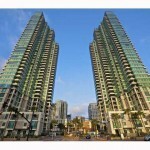 To Search Downtown San Diego Real Estate and Condos for Sale by Price or Neighborhood, Click Here. 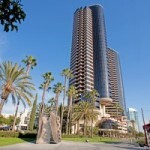 The Downtown San Diego Real Estate lifestyle is like no other in the entire San Diego County. 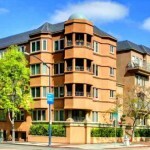 Whether you are looking for a primary residence, a second home, or just an investment property, it would be extremely difficult to go wrong in America’s finest city. 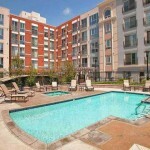 There is an incredible amount of entertainment, activities, and world class attractions to see. 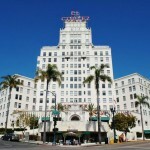 Ranging from walks around San Diego Bay, a trip to the well known farmers market in Little Italy, shopping Horton Plaza and the surrounding storefronts, enjoying the world class restaurants on fifth avenue, or just relaxing on your very own balcony enjoying the bay and ocean views, there is something for everyone to enjoy. 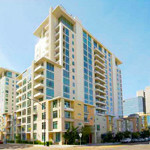 Downtown San Diego Real Estate has also produced some of the highest returns on investments in the entire county. 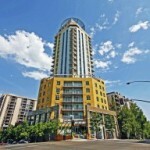 In addition, there is a vast amount of Downtown condominium options as far a location, price points, and condominium style. From the multi million dollar luxury penthouse to the 400 square foot loft, the selection of properties is seemingly endless. 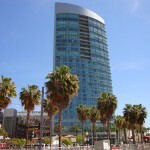 The Downtown San Diego lifestyle is something not to be missed, an experience every San Diegan should experience. 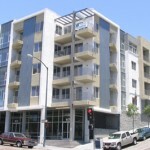 Please enjoy our real estate website and reach out to us anytime with questions about individual units for sale, building summaries, or any other general Downtown San Diego information requests. We live and work work in the city, we know it better then most. 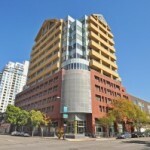 Home Buyers: If you are ready to take the next step to purchasing and owning your very own piece of Downtown San Diego, please Click Here. 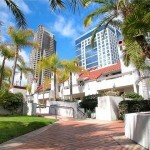 Home Sellers: If you are ready to take the next step in selling your Downtown San Diego home or condo, please Click Here.